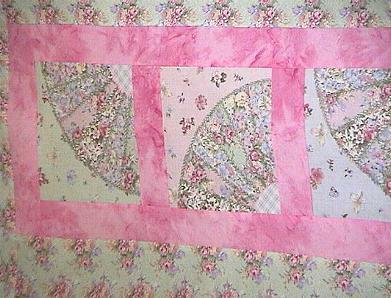 This is a pretty new floral bouquets batik table runner or quilt top that I made. 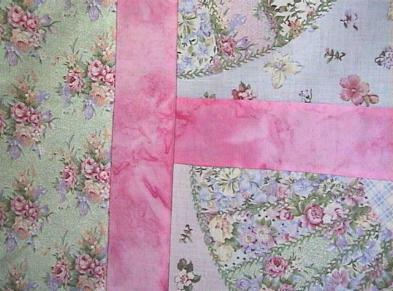 I put the printed dresden squares in between beautiful pink batik sashing. This top is ablolutely gorgeous. You can add embellishments if desired. Make this a family heirloom. Use it throughout the year. Great for a wall, lap, crib quilt. This is the top only. You add batting, backing and your favorite quilting designs.